FT-7900R 2 Meter / 70 cm Dual Band FM Transceiver With Exceptionally Wide Receiver Coverage The FT-7900R provides 50 Watts of power on the 144 MHz band, and 40 Watts on the 430 MHz, and is designed for simplicity of operation along with high performance in the receiver section. 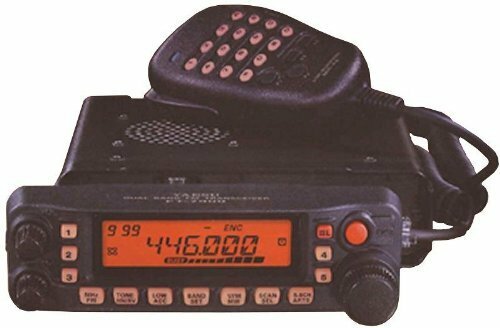 The FT-7900R is ideal for the active Ham who has a need for simplex, repeater, or FM satellite operation on both bands, but without the complication of cross-band repeat capability, which is available on our FT-8800R and FT-8900R models. Five front panel keys allow complete transceiver configuration status to be stored for convenient one-touch recall.